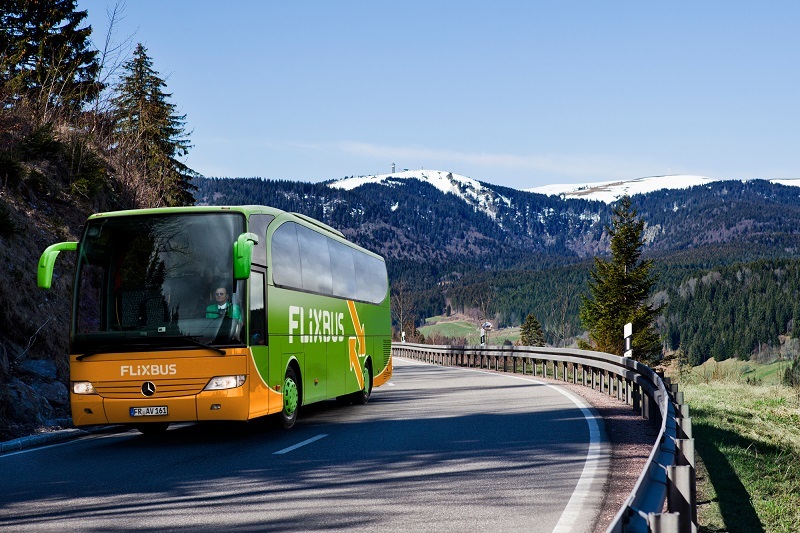 GRAFENWOEHR, Germany — With more than 1,700 destinations in 28 countries, the German bus company FlixMobility Ltd., better known as FlixBus, gives customers an easy travel option for getting around Europe. “From Kiev to Lisbon and from Stockholm to Bari, almost every little and larger city can be discovered with FlixBus and that’s great,” said Jochen Engert, one of the founders of FlixBus. There are several ways to find a bookable connection. You can either download the FlixBus app or go to the FlixBus homepage. The current network of all destinations is also available on the website. When you decide where you want to go, you can look for a bus stop near your residence. The closest ones to Rose and Tower Barracks are in Amberg and Weiden. You can select a departure location by using a drop-down list on the FlixBus page or on the app. By clicking on a particular city, you will receive the exact address of the bus stop. The prices for a ticket start at 5 euros, and depend on the travel destination. The earlier you book, the cheaper the ticket will be. Online booking: Direct Debit, Credit Card (Visa/Mastercard/Amex), Paypal, Immediate Transfer, Carte Bleue and iDEal. From your bus driver: You must pay cash or book your ticket onsite using your mobile phone. You will receive a receipt when you book your seat on board. The receipt also serves as the ticket/booking confirmation. This option is only available if there are seats available on the bus. Ticket outlets and travel agencies: All agencies offer a variety of payment methods, in any case a cash payment will always be possible. By phone: Credit Card (Mastercard/Visa/Amex) as well as Direct Debit for customers residing in the EU. Customers can immediately change their ticket for up to 60 minutes after booking without having to pay cancellation fees. If you cancel a previous booking, you will receive a voucher that you can use on a new booking. According to the FlixBus website, a cancellation fee will be applied per passenger and trip for every cancellation depending on the date of the original booking and how many days it is canceled before the scheduled ride. This fee will be shown during the cancellation process. 0-3 years: You must bring a child seat that can be attached using a two-point belt. Up to 12 years: Must always be accompanied by someone who is at least 17 years old. 13-16 years: May travel alone if they have a declaration of consent from their parent or legal guardian (to be provided while booking). Older than 17 years: There are no obstacles to traveling alone. Just make sure each traveler has all the necessary documents and IDs with them. Strollers will be transported for free if the child travels with an adult. Simply call FlixBus’ Customer Service no less than 48 hours before your planned departure to register your stroller. FlixBus always offers discounted prices for passengers younger than 15 years old. FlixBus also offers a discounted group rate for regularly scheduled services. The group price will be calculated during the booking process. If the discounted price is cheaper, customers will automatically be offered the cheaper rate. One carry-on item with limited dimensions of 16 x 12 x 7 inches and a maximum weight of 25 lbs. One hold baggage with limited dimensions of 31 x 20 x 12 inches and a maximum weight of 50 lbs. For more information, visit the FlixBus General Conditions of Carriage. Once on board, all FlixBuses provide free Wi-Fi, comfortable seats with extra legroom, power outlets and restrooms. You may also eat and drink on the bus, but drinking alcohol is prohibited in the buses. On some long-distance journeys, breaks are planned into the trips, which are used to maintain the driving and break periods required by law. The bus driver will tell you how long the bus will wait at a certain bus stop. Just be back in time. Remember that the coaches are part of a regular service and must stick to their timetable. If your bus is delayed, FlixBus will notify you via text or push notification if you booked using the FlixBus App and subscribed accordingly. You can also check delays at Current Route Info or in the ticket view of the FlixBus App. According to the Federal Statistical Office, the bus is the safest way to travel in long-distance traffic. The green buses comply with the highest safety standards, and the drivers they use are trained accordingly and receive regular training. For more info on local transportation, check out USAG Bavaria’s transportation page.